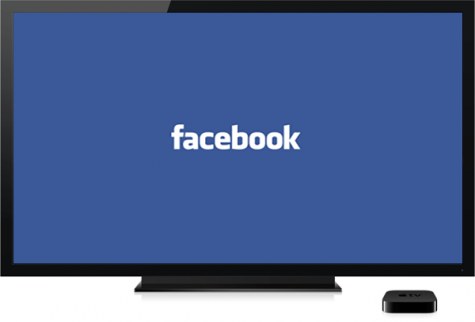 Could you see Facebook's Open Graph in your TV? If any of you keep up with news in the social space at all, you may have heard that Facebook recently bought Face.com. If you haven't heard about it, you can read more about that transaction here. In a nutshell, Facebook is looking to integrate Face.com's facial recognition technology into their platform to make photo tagging easier. Cool...yet a little creepy right? Then flip over to the news around Intel. According to a few sources, Intel is looking at integrating facial recognition technology into television sets. Their motivation? To be able to offer more targeted ads by who is actually in the room. For example, if Saturday morning cartoons are on but mom is in the room and the kids are out, a targeted ad to mom will appear instead of one geared to kids. Even more Big Brother-ish right? As a marketer I love this but as a person, it's a little odd at first. What if you were able to plug in your Facebook profile with your TV? With their new acquisition, Facebook should be able to know whose social data to pull from just by who is in the room. To do that, Intel's new technology could come into play. Ads could not only be targeted by who's in the room but also by that person's likes, interest and actions within Facebook's Open Graph network. In the same way Facebook targets their ads inside their platform, the same sort of targeting could take place inside the television realm using facial recognition technology. That could make the IPO a little more worthwhile. Technology for marketers is getting very precise but also bordering on the edge of creepy. However, to me, it's all still intriguing despite its invasiveness. What do you think? How do you see facial recognition tech playing in the TV space?